For 30 years, Verathon has been known as the “gold standard” in diagnostic scanning technology for the healthcare industry. 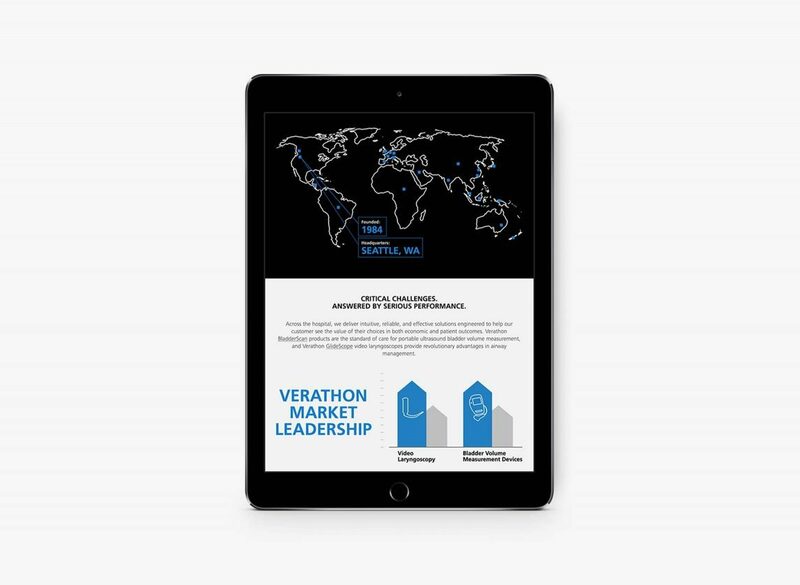 But the healthcare landscape is changing, and brands like Verathon are challenged to articulate how their solutions are evolving to serve this new world. Our task was to help them find that story and bring it to life through their brand identity and website. The new messaging platform we developed moved them away from talking about what they make and shifted the focus to their users: The anesthesiologist who intubates under extreme pressure; the nurse who makes decisions for care based on an ultrasound reading; and the biomed who is maintaining hundreds of devices and tools across the hospital. 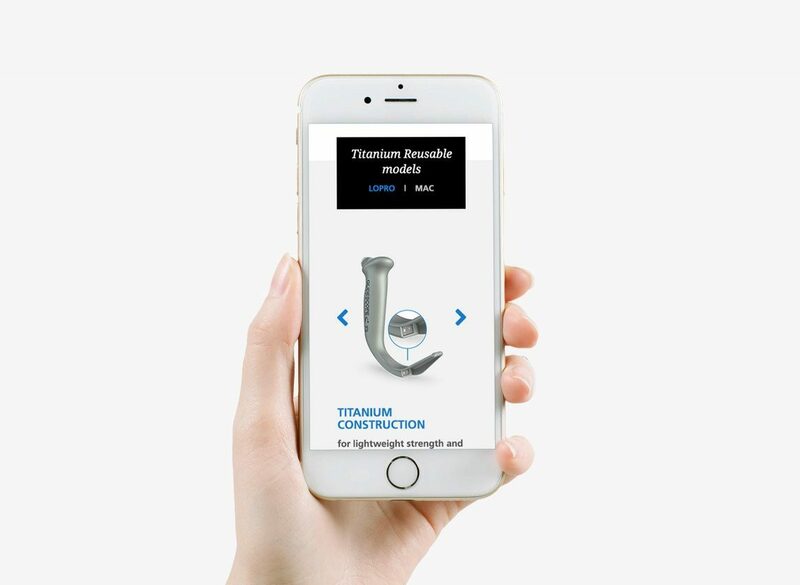 This new story helped bring their different products and touchpoints—from the website to marketing and sales materials—together into one unified, cogent experience. A refreshed, modern look and feel for the company serves as a bond across all of the product sub-brands. 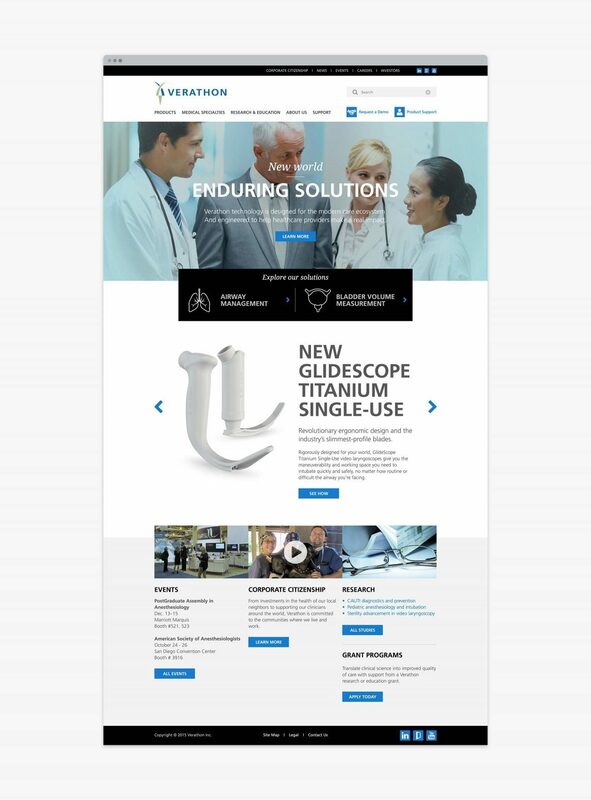 The new site was designed to make it easier for both clinician and administrators to understand product innovations and uses. It also serves as a platform for learning, with a research and education library and product-specific training.